Warning: Long post ahead with food. 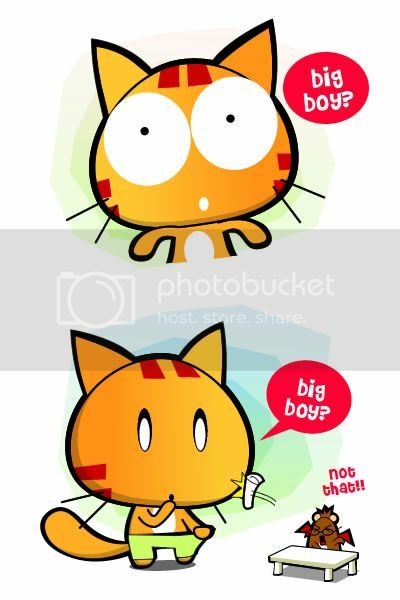 Do you know this two? 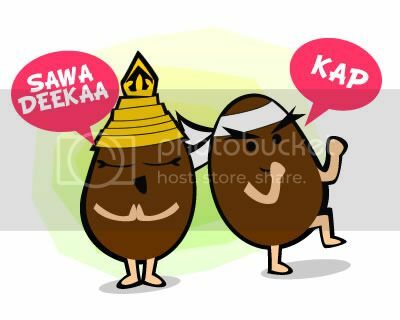 Yes, they are the famous duo from Baba Nyonya show and Nasi Lemak 2.0. The one on the right is Kenny Chan who happens to be the Main Chef and Owner of the nyonya restaurant, Kenny’s Delight I’m visiting. It’s an awesome chance for me to meet a celebrity especially one I grew up watching. So last weekend, I grabbed a non blogger friend of mine who happened to stay nearby the restaurant to go with me. Usually, people will go and greet the owner before hand but the inexperienced me went there, sat down and ordered like everyone else. 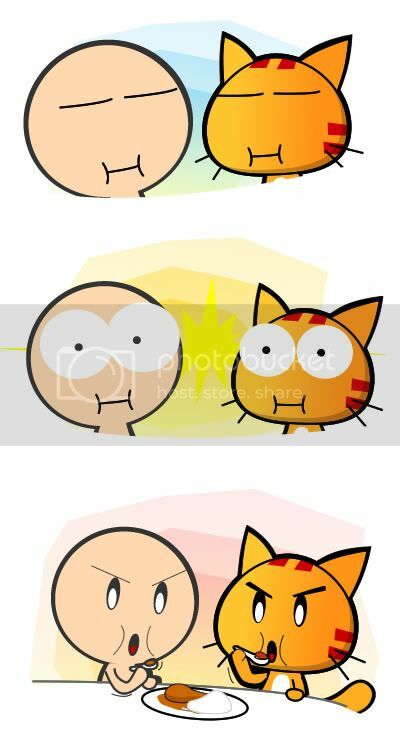 XD It could be both a good and bad move to do. Bad as the owner/chef might have already prepare something special for you, a new dish to try or something. The good is you can taste something everyone else is tasting. 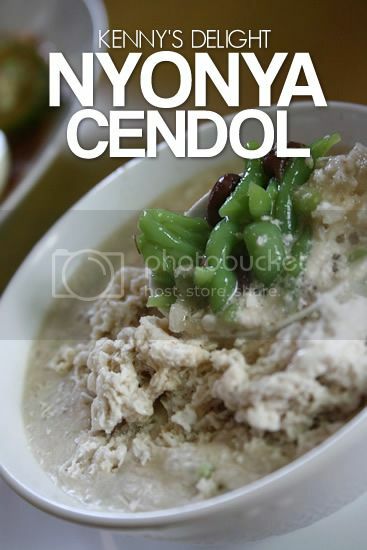 The Nyonya Cendol is good. 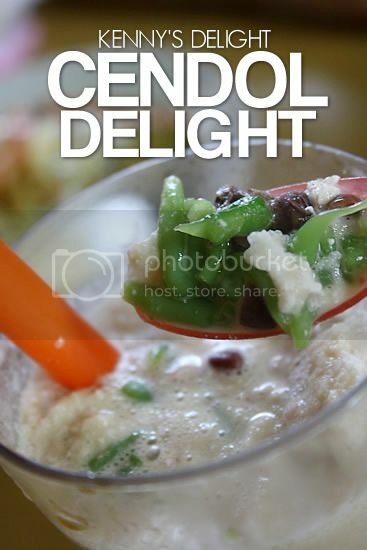 The cendol gave a very nice chewy experience, not as hard as those conventional cendols found elsewhere and I like the small mushy red bean very much. It kinda reminds me of the Cendol in Kuching and the one here do not comes with Gula Melaka too which usually overkill the great coconut milk taste. 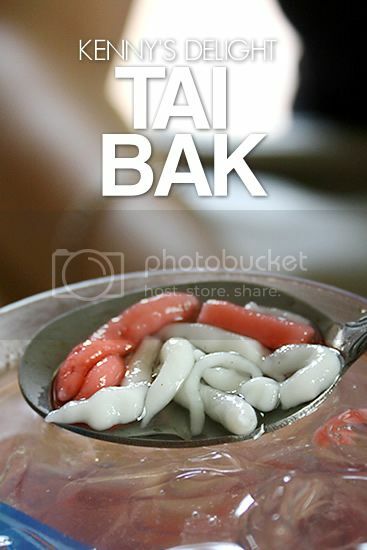 I heard from the Malaccan friend that this is a very traditional Nyonya dish/dessert. It’s a type of rice noodle served with sugar water. Initially, I thought it might turned out to be very sweet but to my surprise it’s not which is good. (I’m not a sweet loving person). The only taste comes from the pink/white rice noodles. 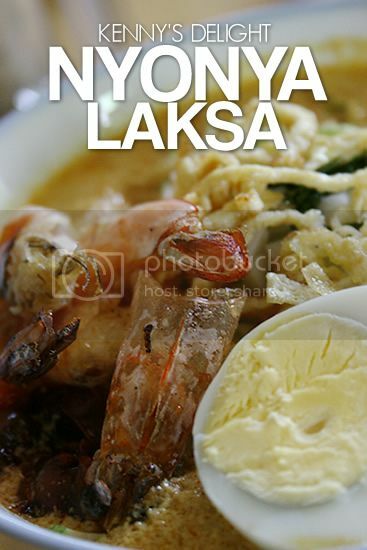 I ordered the Nyonya Laksa as it is a famous nyonya dish. At first, I thought it to be Asam Laksa like the one in Jonker street but turned out it was Lemak Laksa, a variant of Curry Laksa. 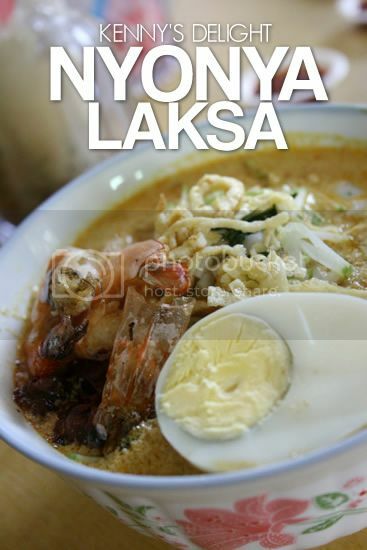 My friend told me this is the real Nyonya Laksa and the Asam Laksa is more of a Penang Laksa. hahaha okay abit over but really it was rich. I ordered my laksa with Bee Hoon which is a bad decision as the Bee Hoon (Rice Vermicelli) soaked up all the gravy and I became bloated after only eaten half bowl. 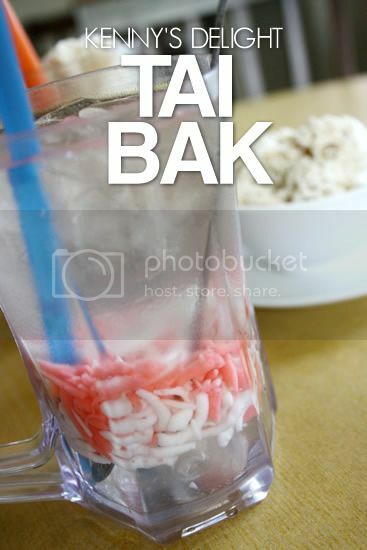 Word of advice: Do not order this with Cendol. It might be too much coconut milk for one to handle. 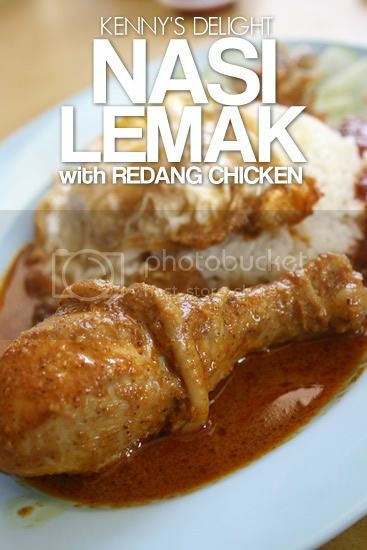 Then, he asked us to try this Rendang Chicken, a new dish that yet to be in the menu. I accepted the offer since he said it’s gonna be a small portion but turned out to be a full plate of..
it was my-image-and-word-indescribable especially the Rendang Chicken. The moment we scooped the Rendang and put in our mouth. We paused and looked at each other with a smile and kept nodding our heads. XD hahaha..the scene was very funny. Oh in case, you wanna try this restaurant, the info is all here, Kenny’s Delight. They currently situated at Jalan Laksamana Cheng Ho (a.k.a. Jalan Panjang) somewhere near Bukit Cina or the Hang Li Po’s Well area. MAP. No worries if you have problem finding them as the restaurant will move to Melaka Raya (right opposite Library Pub) in end of March under the name, Big Nyonya. Oh here’s a picture of Mr Kenny Chan himself (not in Nyonya costume) and someone I asked to pretend to be me. 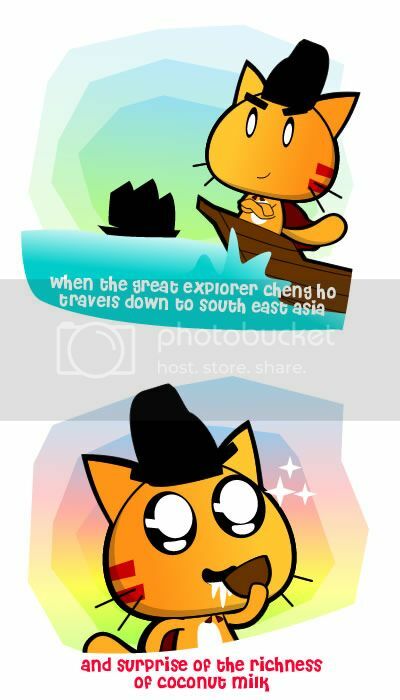 Posted on March 2, 2012 by Jian Akiraceo. 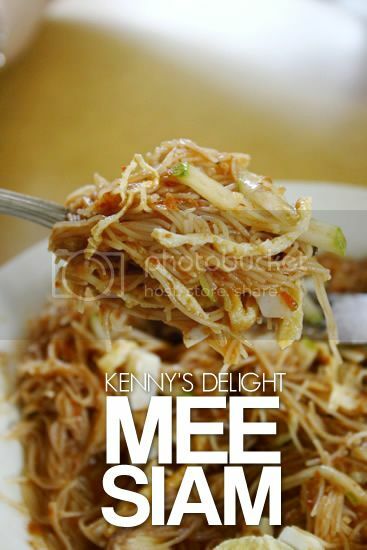 This entry was posted in Food, Review and tagged Big Nyonya, Kenny Chan, Kenny's Delight, Lemak Laksa, Mee Siam, Nasi Lemak, Nyonya Cendol, Nyonya food, Nyonya Laksa, Rendang Chicken, Tai Bak. Bookmark the permalink. 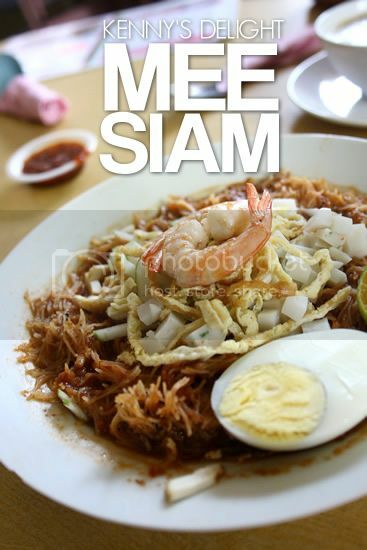 I would recommend the Mee Siam and Rendang. Kenny is the right one. The Left is Mr Chee who passed away months ago. oo… it’s a she!! And sharing a plate!! Something is going on!! Awesome! 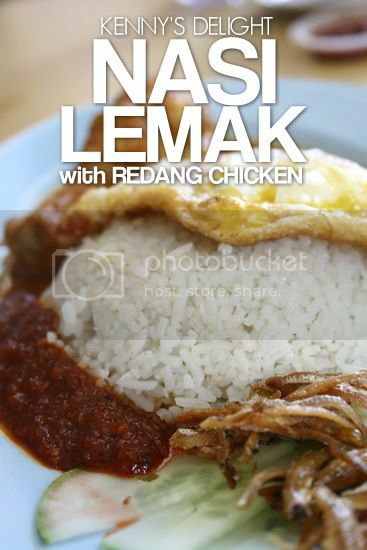 I would love to try it if I get to go Melaka! Wow, its KENNY!!! is it really nice??? 5 stars rating ? The Mee Siam and Rendang is nice! 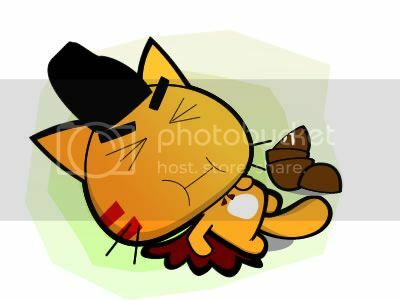 u made me hungry in the middle of the night.. i wished i could go there to eat, but im living in singapore…. so near yet so far………. Oh, that’s a 4-5 hours drive..
halal or not? 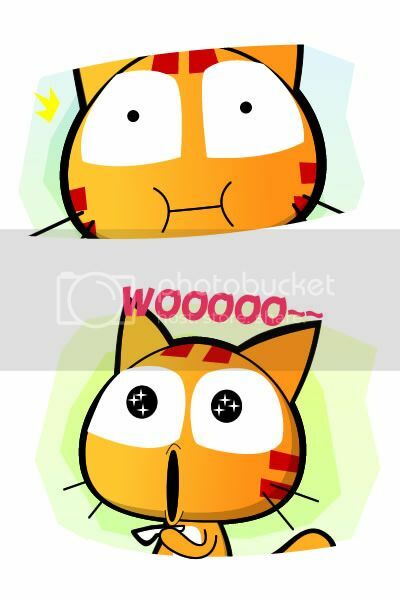 if halal, this weekend i go…. If not mistaken, it’s halal. 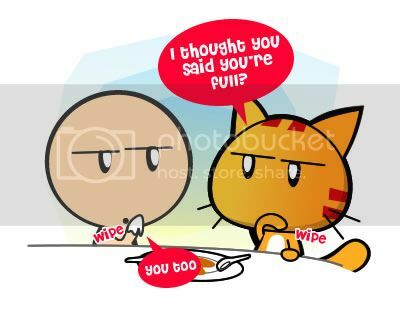 Pingback: Miao is a Big-Head-Prawn « Miao & WafuPafu Comic Blog | Cuteness Overdose!